Since the Renaissance, with its lavish parties, the art of entertaining, of great cuisine and refinement have been a tradition at the Château de Chenonceau. 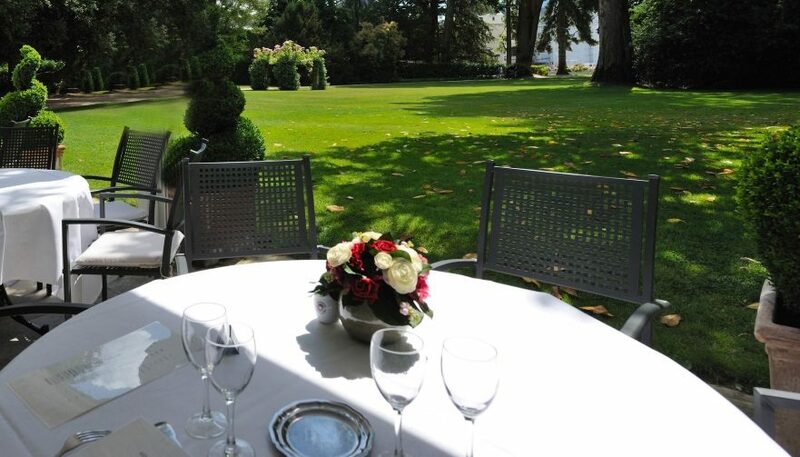 Its fine-dining restaurant, the Orangerie, perpetuates this spirit. The new chef, Christophe Canati, trained with Georges Blanc, Bernard Loiseau and Eric Briffard, rediscovers his Touronian roots here. Passionate about this region, he highlights its wines and the fabulous products of local producers. Housed in the château’s former Orangerie, an entry ticket to the castle is necessary to enter restaurant. Capacity: 150 people seated for lunch. Evening bookings for prestigious private receptions. Open every day 15:00 - 17:00. An elegant terrace in the Green Garden and a sweet and savoury gourmet offering by our pastry chef. The Orangerie, our fine-dining restaurant, is available for private hire and to host cocktail receptions, soirées and prestige receptions, as well as working meetings, study days, and conferences. Fully-equipped, modular rooms, with views of the Green Garden and the Château. Floral decoration by the Floral Workshop of the château, led by Jean François Boucher, recognised as a Leading Craftsman of France.